The service is now available in the eight markets listed above. You can check availability and get more information from the TVision site. We initially expected the TVision launch in 2018, but the service was reportedly pushed back because it wasn't "disruptive" enough. In the interim, T-Mobile secured the rights to Viacom channels like MTV and Comedy Central. The reported à la carte options don't appear to be part of the equation, though. TVision costs $99.99 per month for all the channels, including 4K content and local broadcasts. T-Mobile customers also get a $9.99 discount (and non-subscribers can get this for a limited time), bringing the cost to $90. There's also a $10 fee for each additional TV. 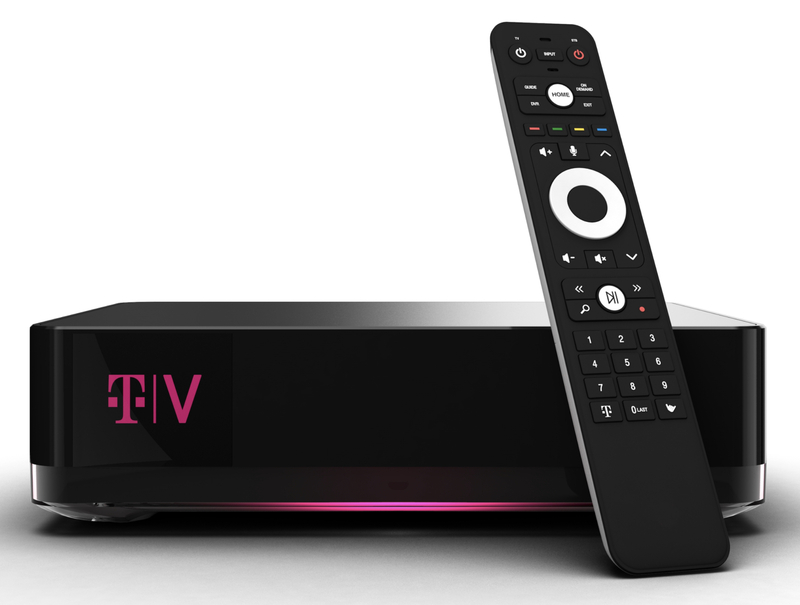 TVision includes a box that plugs into your TV, but T-Mobile plans to make TVision apps for smart TVs and other platforms eventually. Each user gets a dedicated profile with personalized suggestions, but you split 1TB of DVR space. Importantly, this is an internet streaming platform—all the data goes through your existing internet connection. In the age of data caps, that could be a problem. The service launches on April 15th in eight markets: Chicago, Dallas-Fort Worth, Los Angeles, New York City, Philadelphia, San Francisco, and Washington DC. Everyone else will have to wait for a bit. T-Mobile connects the TVision rollout with its 5G plans. It claims TVision is designed for 5G connectivity, and it will only reach its full potential if T-Mobile is allowed to buy Sprint. Hint hint.